Russia is “paranoid” about NATO and is likely to continue “aggressive” actions this year to support its claim to great power status, U.S. National Intelligence Director James Clapper said in Senate testimony Tuesday. In a report on “Worldwide Threat Assessment” that Clapper presented to the Senate, Russia topped a list of “leading threat actors,” followed by China, Iran and North Korea. “Russia is assuming a more assertive cyber posture based on its willingness to target critical infrastructure systems and conduct espionage operations even when detected and under increased public scrutiny,” Clapper said in the report. Concerned about cyber threats, U.S. President Barack Obama has asked for $19 billion for cyber security in his fiscal 2017 budget proposal, an increase of $5 billion over this year. “So, a lot of these aggressive things that the Russians are doing for a number of reasons – great power status to create the image of being co-equal with the United States, et cetera – I think could probably, could possibly go on, and we could be into another Cold War-like spiral here,” Clapper said. Clapper’s “threat assessment” report also singled out Russia in connection with an array of other threats facings the U.S. this year. In the area of weapons of mass destruction, Russia has violated the 1987 Intermediate-Range Nuclear Forces (INF) Treaty by developing a ground-launched cruise missile, Clapper said. Moscow has denied the accusation when it was previously voiced by U.S. officials. In the area of “space and counterspace,” Russia, along with China, continues to improve the capabilities of its military and intelligence satellites and grow more sophisticated in their operations, the threat assessment report said. 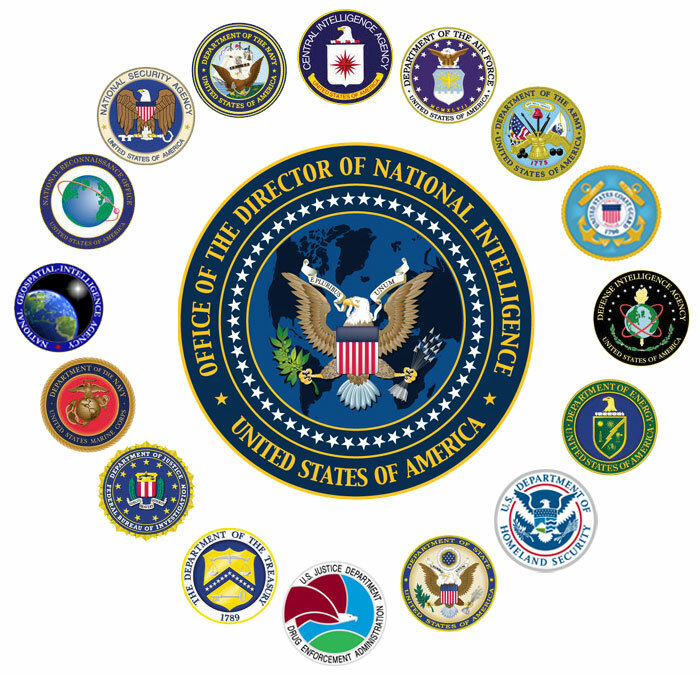 In the area of counterintelligence, “the leading state intelligence threats to U.S. interests will continue to be Russia and China, based on their capabilities, intent, and broad operational scope,” Clapper said. military presence above the Arctic Circle and seek international support for its continental shelf claim, the report said. “Moscow might become more willing to disavow established international processes or organizations concerning Arctic governance and act unilaterally to protect these interests if Russian-Western relations deteriorate further,” it said. presented to the United Nations headquarters in New York his country’s claim to Arctic Ocean seabed, and to the vast natural resources near the North Pole. Russia’s neighboring states, including America’s NATO allies, also feel some “anxiety” over Russia’s meddling in Ukraine and its “willingness to covertly use military and paramilitary forces in a neighboring states,” Clapper said in the report. Russia will “almost certainly eschew direct military conflict with the United States,” the report said. But Moscow will likely pursue its ambitions through “lower levels of competition,” such as “diplomatic and economic coercion, propaganda, cyber intrusions, proxies, and other indirect applications of military power – that intentionally blur the distinction between peace and wartime operations,” Clapper’s report said. The “paranoid” and “aggressive things” in Moscow’s recent policies that Clapper outlined have boosted Russia President Vladimir Putin’s domestic approval ratings. They have also helped state-run broadcasters and government officials to convince much of the nation that Russia is a major global power – despite the bitterly felt nosedive of the ruble, falling wages, soaring costs of many home mortgages, the disappearance of popular European delicacies from grocery stores, and the increasingly prohibitive costs of foreign vacations. Amid a wide range of economic troubles, the number of Russians who consider their country one of the most powerful in the world increased by 9 percentage points over the past year, reaching 36 percent of the population in late January, according to a survey by independent Levada Center pollster.